Hatiohead, who've dubbed Trump as "the most powerful Twitter troll in the world," are the creative team behind the video. A parody video has surfaced, which sees Donald Trump singing his own version of Radiohead's Creep. 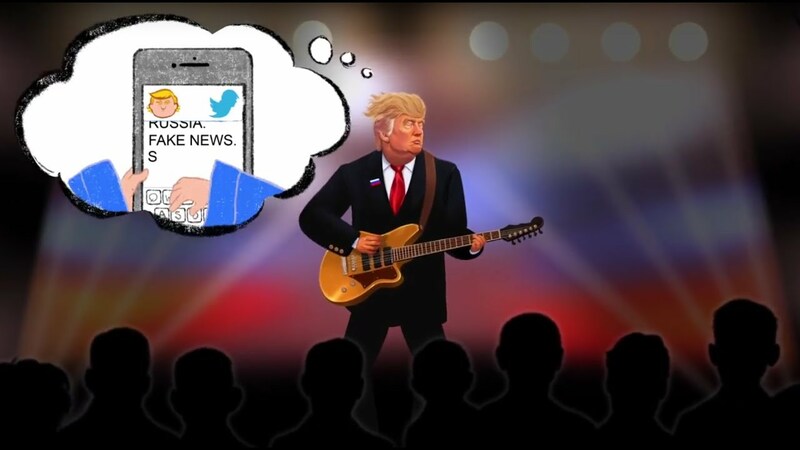 The cartoon, which was posted to Hal Hefner's YouTube account, takes aim at the U.S. President's most famous exploits, and it doesn't hold back. The video comes from the creative geniuses that are HATIOHEAD, who describe themselves as "a collective of creative citizens who are saddened and embarrassed by the idiocy of (their) current government and its moronic leader." Trump isn't the first politician to be given the Radiohead treatment, though, with Russian Prime Minister Vladimir Putin's "version" of the same track doing the rounds. And then there's this epic meme of Daddy Yankee's Gasolina being dubbed to Radiohead frontman Thom Yorke's performance of Myxamatosis. These all might be absolute corkers in their own right, but nothing quite gets Radiohead fans going like the real thing.